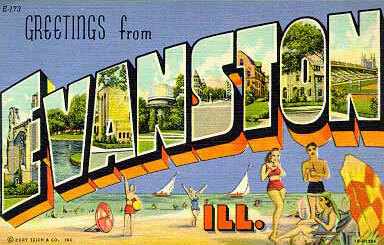 indiana jones – Greetings from Evanston, Ill. When did Indiana Jones become Tom Brokaw? The margaritas after the movie helped. There was no lost order resulting in half-price food, like there was the last time we were at the Ballston Chevy’s. There was no crime scene next to our table like there was the time before that. But both would’ve also been helpful. Who would’ve thought making another Indiana Jones movie was a bad idea? Holding aside a Sum of All Fears-style mistake, who would’ve thought Steve Spielberg making another Indiana Jones movie starring Harrison Ford was a bad idea? Reviews from friends had already lowered my expectations going in. How did the bottom drop out? As much as I love Elvis, the first sound was a bad sign. Then came the dialogue, the accents and the much heralded fridge in short order. Far later, the monkeys were worse, and they were a long time coming. It was in the college restaurant where I placed Harrison Ford’s voice. He hadn’t sounded like Indy to that point, didn’t even sound like himself, but whose voice did he have? Ah. Tragedy today, as former President Gerald Ford was eaten by wolves. He was delicious. There was a lot of talking. The reviewers weren’t kidding about “Indiana Jones and the Temple of Exposition.” All of you who put Crystal Skull on the same level as Temple of Doom, your grasping at straws was admirable. The desert neighborhood and the motorcycle minutes this time were terrific, but we came up short: one nightclub poisoned shootout, one rickshaw chase, one plane crash, one Himalayan tubing adventure, a couple beating heart removals, one Chitty-Chitty-Bang-Bang-meets-Fraggle-infrastructure underground adventure, and one rope bridge. Forget Shia. Give me Short Round. None of the complex CGI sequences in “Indiana Jones and the Kingdom of the Crystal Skull” can hold a candle, in fact, to the moment when a conspicuously youthful Indy, confronted by a black-robed warrior chuckling ominously, watched and waited while the guy twirled his scimitar, then pulled out his revolver and simply popped him with no further ado. But that was a long time ago, in a film that feels far, far away. Also feeling distant? Air Force One, 11 years old. I had a good time on Saturday night, I gave the movie that. Any true fan of the trilogy had to be somewhat forgiving of Crystal Skull. The movie was better than Love Guru. The movie was better on the big screen than the inevitable small one. The movie was better in the mall than at home. Metaphorically speaking, we named the dog Indiana. Posted on July 14, 2008 September 9, 2009 Tags elvis presley, indiana jones, movies1 Comment on When did Indiana Jones become Tom Brokaw? The Indiana Jones trailer had already satisfied my trailer-perking needs for last week. The kingdom could have included five other types of bejeweled skulls in the title, and I wouldn’t have minded. But then came Carrie Bradshaw, about whom I still carry deeply mixed feelings, and her first real trailer. I was glad to see my broad-shouldered alter ego was causing trouble again. The trailer gods had struck twice. The third strike had to come. Before Juno, we got The Accidental Husband. The plot felt either ridiculously worn or not worn at all in the trailer; with romantic comedies in such a rut these days, it was hard to tell. But Denny Duquette, Uma, Mark Darcy, and Samir Notgonnaworkhereanymore? I liked everyone there! How could movie fail? A zillion ways, but I ignored them. The run sent me back to Apple’s trailer site, where I hadn’t been in far too long. Having a computer that couldn’t really play video would do that. But the new computer was here, a beast, so I went back. To be continued tomorrow. 1. I keep giving American cheese a shot. It never succeeds. It suffices on a Triscuit, but a lot suffices on a Triscuit. Every time I taste American cheese these days, I kinda wonder if it’s made by people who’ve failed in the cheddar industry. 2. “The monastery’s motherhouse, the Abbey of Gethsemani in central Kentucky, makes fudge flavored with a Kentucky specialty, bourbon. To give the local fudge a Georgia spin, Delisi settled on peach brandy, peaches and pecans.” After an insurance-friendly fruitcake fire, Atlanta-area monks are switching product lines. With possibly delicious results. 3. One highlight from Key West was meeting Kermit Carpenter, proprietor of the Kermit’s Key West Key Lime Shoppe. The place where we were staying had welcome bags of his cookies, and we found his shop just down the block. The welcome bag cookies were light but almost mint-like in power, and I left with more bags. If you’re visiting his site, yes, I saw him strike that pose. We were having a conversation about how he grew up in Gaithersburg, Md., when he started looking outside and picking up a key lime pie. He approached the trolley rounding the corner, raised the pie at a woman in a front seat, then tossed in some bags of cookies with his free hand. It was a little ridiculous, but I bet the marketing worked. 4. Miami International’s Pizza Hut stand is definitely better than its Uno’s stand. 5. I’m intrigued by Elevation Burger, now open in Falls Church, Va. It seems to be a next-generation burger place, and I’ve never been to one of those. With the snow about to start here, a carefully-prepared-yet-greasy burger would hit the spot. 6. Al’s Deli is still great. Have been meaning to recap the Chicago trip but haven’t yet. Will get around to it. But I ate a cookie and some macaroni salad at Al’s, and they made me want eight sandwiches at once. 7. What’s the deal with selling beer at Chicken Out? Not that I have a problem with it, but it’s just surprising. The service leaves something to be desired, but the restaurant makes me feel good about the future of quick taste. 8. The Amateur Gourmet is headed to Paris in a week, and he’s bought a copy of Adam Gopnik’s From Paris to the Moon in preparation. The book’s come up about three times in the last few weeks, and any discussion leaves me frustrated. I’m pretty sure I read the book, but I can’t remember a single thing about its content. I think I liked it, but I honestly have no idea. It’s possible no book has left less of an impact on me in my entire life. And I like Gopnik’s New Yorker work, so this is all very confusing. 9. Every time I see dates in the fruit section at the supermarket, I think of Raiders of the Lost Ark. Poor life-saving monkey. 10. Egg salad, the forgotten sandwich. Ellen commented this week on a particularly nasty migraine headache she had. It made me think back to my first migraine, a experience of surprising trauma. I was sick from grade school and watching “Indiana Jones and the Temple of Doom.” Indy, Willie and Short Round were departing Shanghai’s Nang Tao airfield en route to Siam when the migraine struck. My head pounded like a stick on the gong Indy had just used to escape the nightclub. For a minute, it was sheer terror. I yelled and threw a washcloth over my head. But then it was over, and the hammering subsided back into fever. It was years before I found out why they were sledding in a life raft.